For 2014, the Cadillac ATS models equipped with shift paddles receive a a leather sport steering-wheel, while Intellibeam automatic high-beam control is standard on the Driver Awareness and Driver Assist packages. Models with CUE and the Navigation package now feature a 110-volt power outlet for the rear seats. 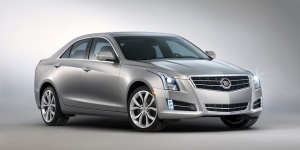 Find the used Cadillac ATS of your choice from a dealer in your area. Search our used car listings now.